Looking for a give away that won't break your budget? 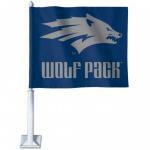 Our Promo flags are made of Quality Tyvek. Great looking, Great Value. 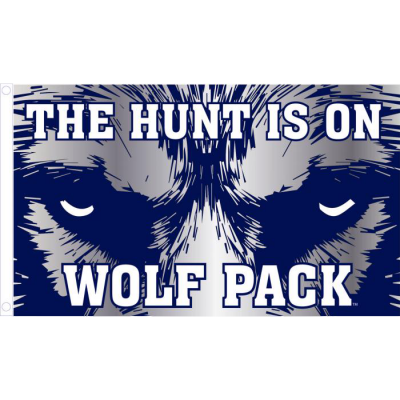 Flags are 4" x 6" and stapled onto 9" white staff. 4" x 6" size only. If you're looking for a low cost give-away, but still want your flags made in America, our Economy No-Fray 4" x 6" flags are for you. 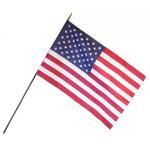 Flags are stapled onto a plain 10" wood staff with no hem and no tip. 100% made in America. Still inexpensive enough for give-away, but have sewn hem and gold ball top for safety. Flags are stapled onto a plain 10" gold plastic staff with gold ball top. 100% made in America. 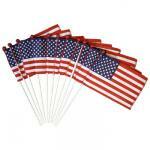 U.S. Cotton Mini Flags On Staff 4" x 6"
100% made in America. Our Verona Brand Cotton U.S. flags are fully hemmed and beautiful. The 4" x 6" have black plastic staff and gold spear top. 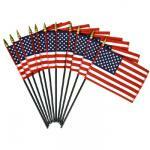 U.S. Rayon Mini Flags On Staff 4" x 6"
100% made in America. 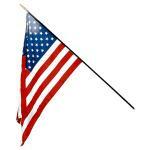 Our 4" x 6" silk like rayon U.S. flags are hemed, attached to a black staff with gilted spear top. Our best quality and most beautiful table flags. These rayon U.S. flags match our State, Foreign, and Military 4" x 6" Desk Flags. If you're looking for a low cost give-away, but still want your flags made in America, our Economy No-Fray 6" x 9" flags are for you. 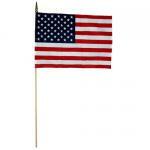 Flags are stapled onto a plain 18" wood staff with no hem and no tip. 100% made in America. If you're looking for a low cost give-away, but still want your flags made in America, our Economy No-Fray 8" x 12" flags are for you. 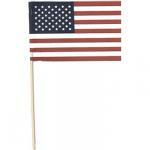 Flags are stapled onto a plain 24" x 5/16" wood staff with no hem and no tip. 100% made in America. U.S. Cotton Mini Flags On Staff 8" x 12"
100% made in America. 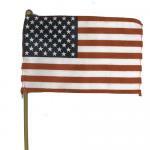 Our Verona Brand Cotton U.S. flags are fully hemmed, mounted on a plain wood staff and have a gold spear top. 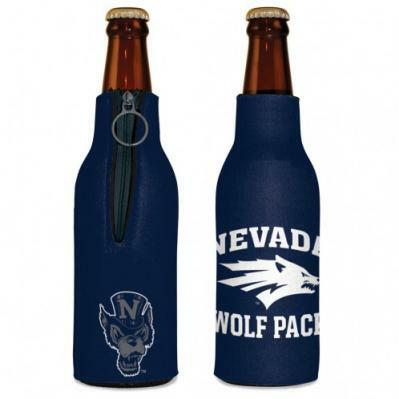 Verona brand is our best seller for parades and cemetary use. 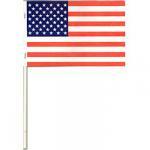 U.S. Cotton Mini Flags On Staff 12" x 18"
100% made in America. 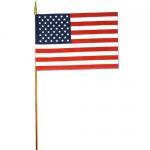 Our 12" x 18" Verona Brand Cotton U.S. flags are fully hemmed, mounted on a plain wood staff and have a gold spear top. Verona brand is our best seller for parades and cemetary use. 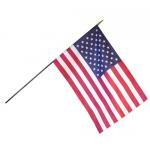 U.S. Rayon Mini Flags On Staff 8" x 12"
100% made in America. Our silk like rayon U.S. flags are mounted on a black staff with gilted spear top. These are our best quality and best looking table flags. 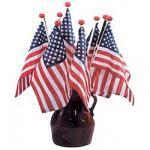 Great for table decorations, and parade use. These flags match our State, Foreign, and Military 8" x 12" Desk Flags. 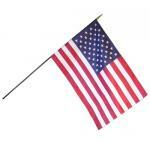 U.S. Rayon Mini Flags On Staff 12" x 18"
100% made in America. Our silk like rayon U.S. flags are mounted on a black staff with gilted spear top. These are our best quality and best looking table flags. Great for Classroom display, decorations, and parade use. 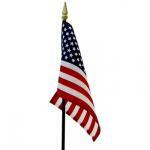 U.S. Rayon Mini Flags On Staff 16" x 24"
100% made in America. Our 16" x 24" silk like rayon U.S. flags are mounted on a black staff with gilted spear top. These are our best quality and best looking table flags. Great for Classroom display, decorations, and parade use. U.S. Rayon Mini Flags On Staff 24" x 36"